Prime Minister Rudd is the first guest on the ABC’s new public affairs show, Q&A. Hosted by Lateline’s Tony Jones, it will premiere at 9:35pm on Thursday May 22 as a live (east coast) format incorporating questions from a studio audience and SMS questions from viewers. From the second week it settles into a regular format of 5 panellists, including politicians and three additional personalities who represent a cross-section of society. Curiously the ABC has slated the show into the same timeslot vacated by the poorly received Difference of Opinion. Jones will continue to present Lateline twice a week. Prime Minister Kevin Rudd will be the first guest on ABC TV’s new interactive public affairs program, Q&A. 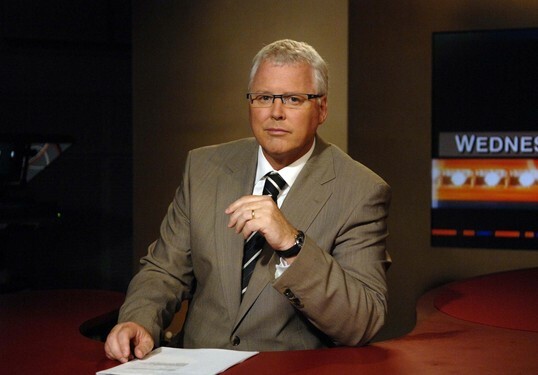 *Lateline presenter Tony Jones will host the **live, hour-long program, with the Prime Minister taking questions from the studio audience, as well as from viewers on-line and via text (sms). Jones said Q&A would provide a chance for the PM to face the people six months after he was elected to office. Following the Prime Minister’s inaugural appearance on Q&A, the program’s format from episode two onwards will revolve around five different panellists each week facing questions on a range of topical issues from the studio audience and viewers. Tony Jones will be the ringmaster keeping the studio audience in line and keeping the five different panellists focused on the subjects up for discussion. The Q&A panellists each week will generally include politicians from both sides of politics and three well-known but very different personalities that represent a cross-section of society. Q&A executive producer Peter McEvoy said the program’s aim was to encourage democratic participation. “Q&A will have an urgency, immediacy and topicality not found in other public affairs programs,” he said. “It’s an opportunity for viewers to ask political, business, social and other ‘leaders’ questions and get an instantaneous answer. *Tony Jones will continue to present Lateline twice a week. ** Broadcast live on ABC1 in Tas, Vic, ACT, NSW & Qld. Delayed ABC1 telecast in SA, NT & WA. Live streaming online available nationally. Maybe because it was posted in April? why is your web page for qanda advertising an interview with kevin Rudd while the TV has an interview with Malcolm Turnball and why is it so hard to find how to send a question which the program is promoting as it airs? I was enjoying the show, which I believe shows an even handed approach on all issues. I especially was interested in the comments on the financial situation. The I was appalled that Tony Jones was tricked or conspired with what I believe to be an obviously stacked audience on the issue of euthanasia. This put the panel in a very precarious position. A debate on the subject is one thing but a media pole on a national network without prior knowledge is quite another. I believe that this amounts to either gross negligence or corruption and that it should be investigated. cool concept, even if its a rip off of QUESTION TIME in the Uk, and personally, i think the gang at INSIGHT put together a pretty cracker show, but this could prove to be just the point of difference that aunty needs. cos difference of opinion was just embarrasing. Sounds interesting. If it wasn’t on at 9.30, I’d be in that audience in a heartbeat. The joys of being a student with early starts, I guess.